The third American diagnosed to with Ebola, Rick Sacra, 51, has arrived at the Nebraska Medical Center in Omaha. Sacra landed at Offutt Air Force Base Friday morning and was taken to the Medical Centre in an ambulance escorted by state highway patrol. He will be treated in the Center’s bio containment unit, which is the largest of its kind in the country. The facility has 30 members who have been trained extensively. Sacra is the Ebola patient for Nebraska Medical Centre, the other two American patients, Dr. Kent Brantly and Nancy Writebol, have both been treated at Emory University Hospital, Atlanta. Sacra travelled to Liberia in August this year, the home of the Ebola virus outbreak. “I knew he needed to go,” said Debbie. She stated that her husband knew the risky situation he was entering in, but wanted to help malaria patients and pregnant women in Liberia. “He is not someone who can stand back when there is a need that he can take care of,” she said. 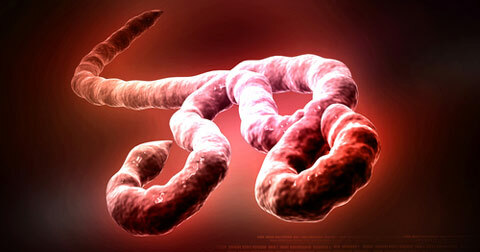 Sacra was delivering babies, and is believed to be following the protocols for the prevention of the Ebola disease. It is unknown how he contacted the disease. The Chancellor of University of Nebraska Medical Center, Jeffrey Gold says that the doctors are well prepared to handle an Ebola case.